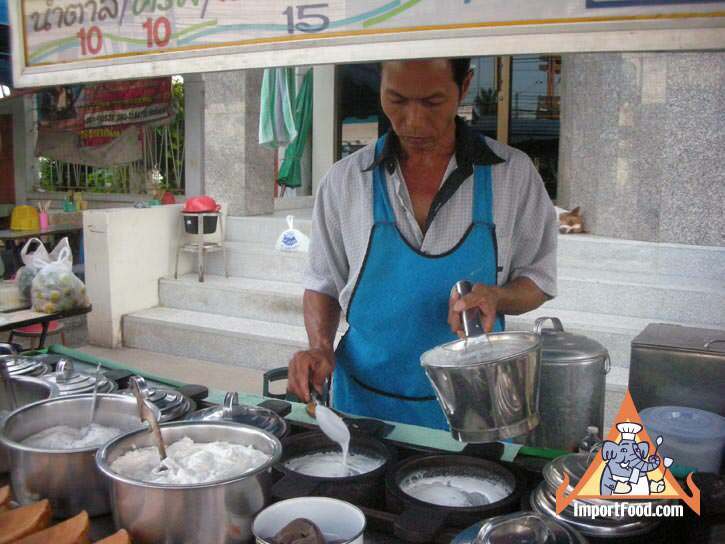 This video filmed on location in Bangkok, Thailand. 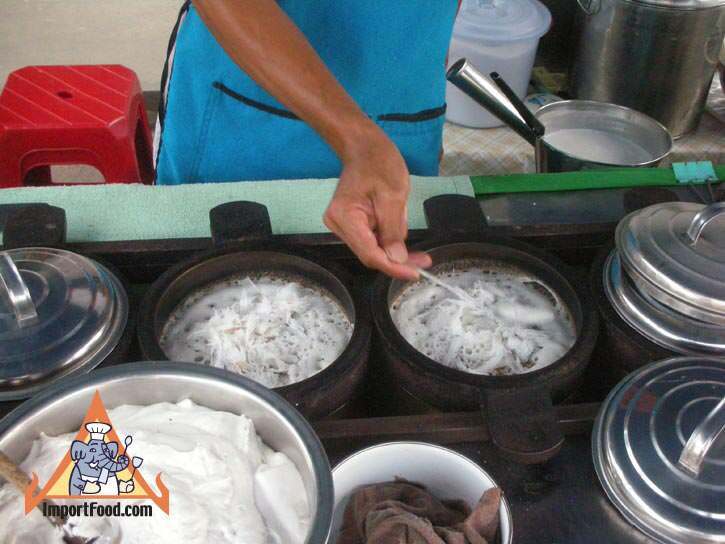 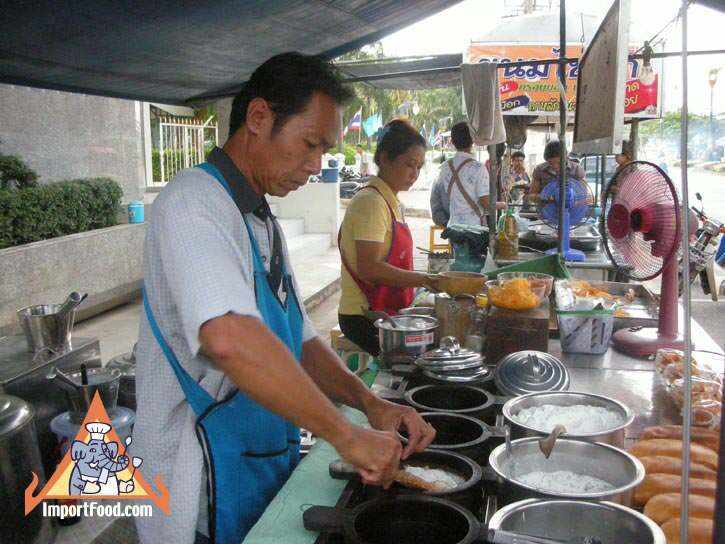 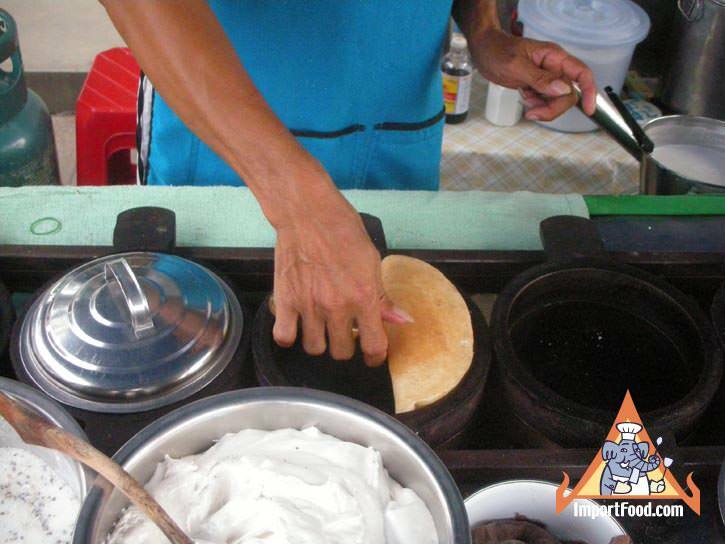 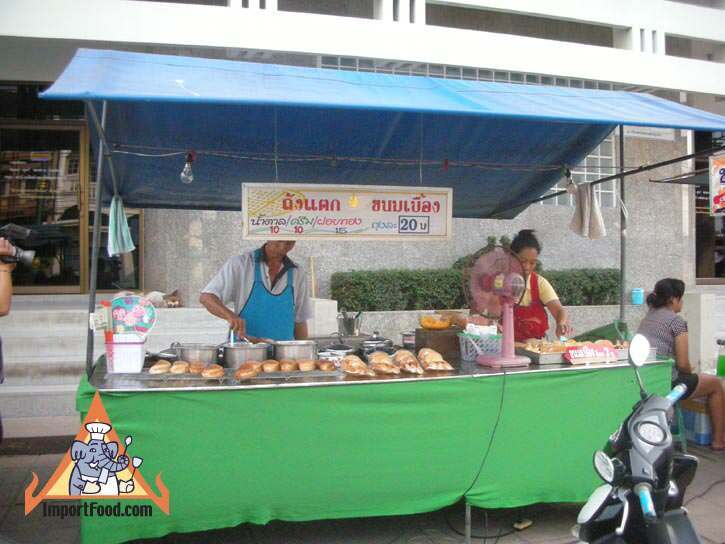 The sidewalk chef here makes Tang Taek which is similar to Khanom Buang. 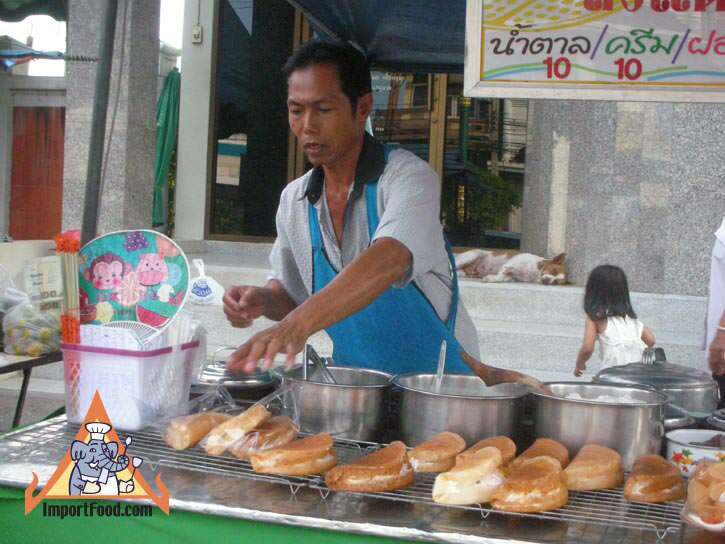 It's very difficult to find street vendors selling this, but in days gone by it was a very inexpensive "poor man's meal" so cheap that anyone could afford it. 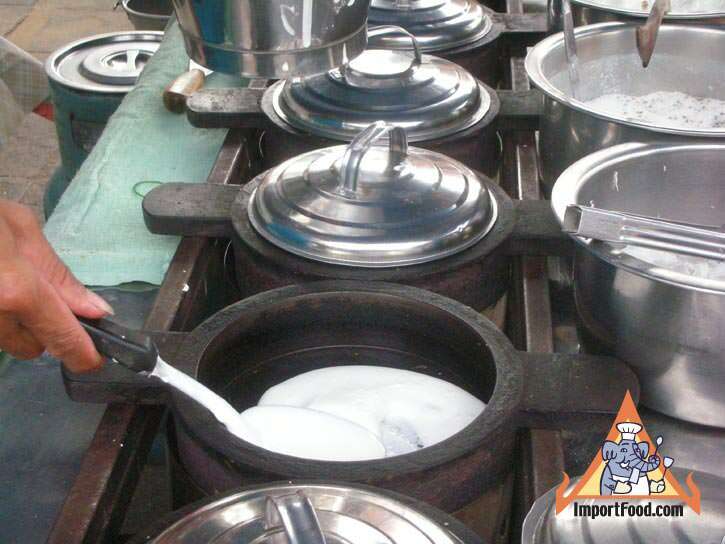 The literal translation of Tang Taek is "broken bucket" which is phrase for bankruptcy. 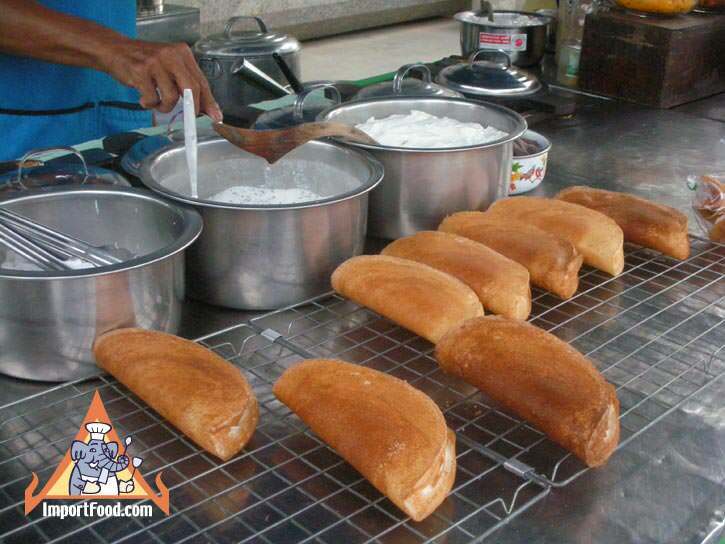 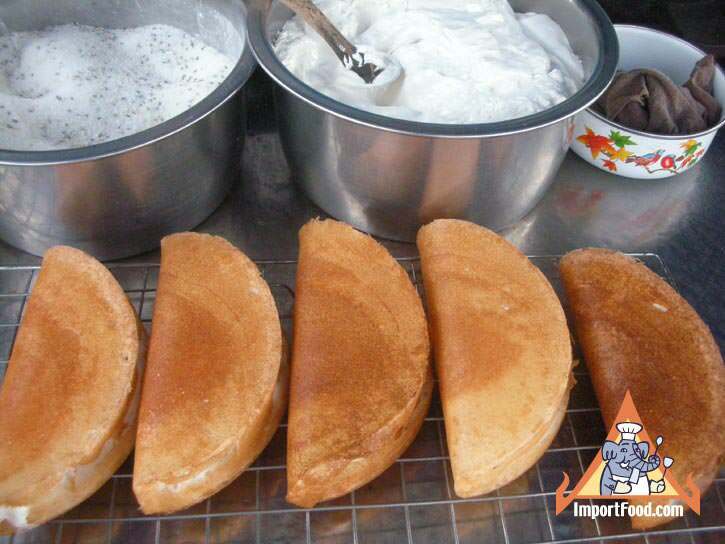 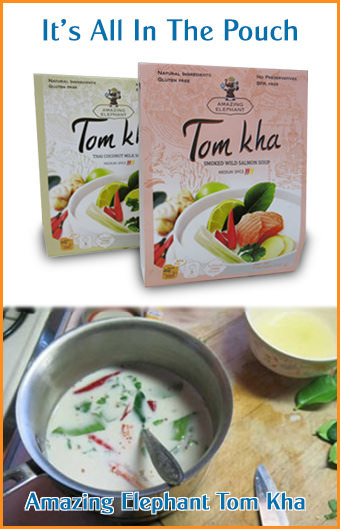 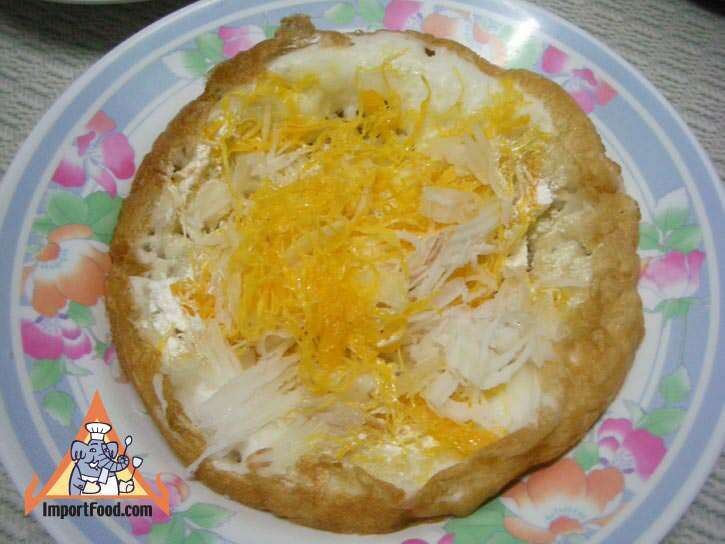 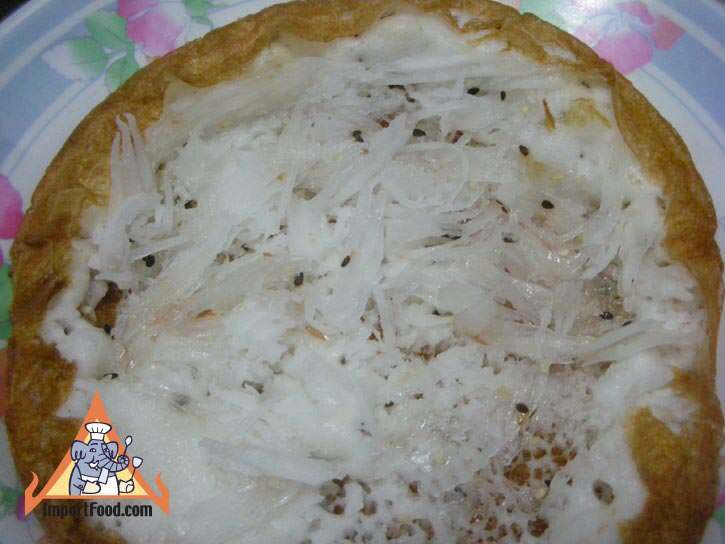 For something similar to that you can make on your own, see our recipe for khanom buang.